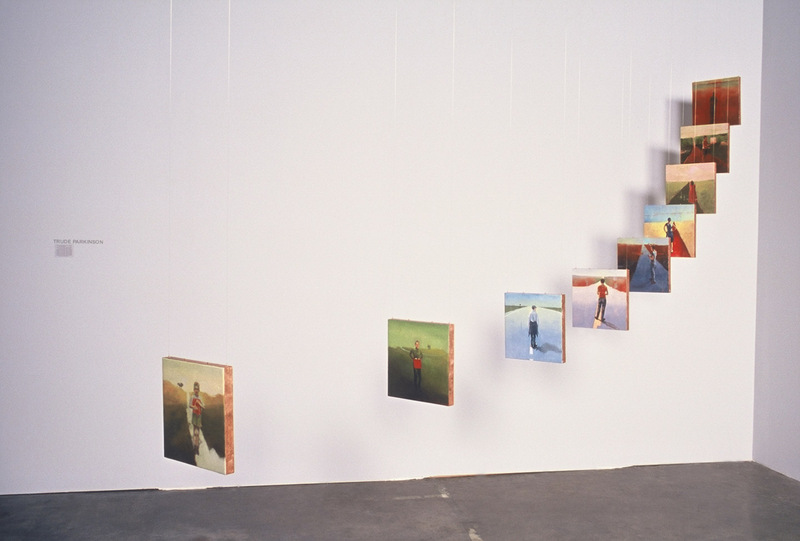 In Memories and Incidents, the figures turn and face away from the viewer on paths that lead into the infinite vanishing point of an abstracted landscape. Gesture and body language indicate that something has just happened or is about to happen, revealing a glimpse of an incident whose reality cannot be recovered. 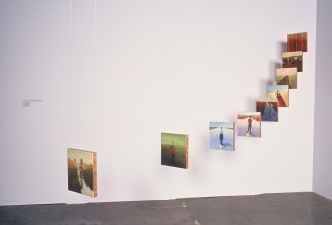 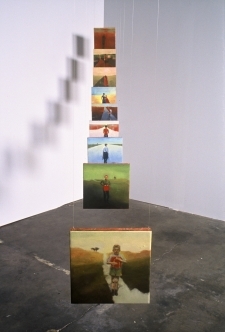 The poetic collages on the backs of the paintings provide enigmatic commentary on the fronts.The images are suspended from the ceiling in a curve that emphasizes the ideas of path and perspective as well as the concept of life as a continuum of events and associated memories that also includes the viewer.